The East Coast Commissioning facility in North Palm Beach is Nordhavn's busiest hub right now with four brand new Nordhavns currently being commissioned as well as a number of other boats being serviced. 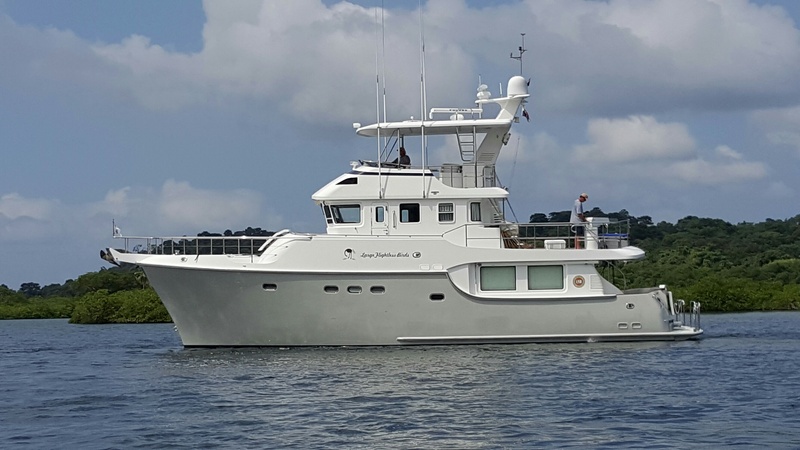 Whether you're looking to test drive a Nordhavn for potential purchase, or want to get a glimpse of the trawler lifestyle without the time and money investment, chartering a Nordhavn is possibly the perfect solution. And now there are two new charter options to be considered: a Nordhavn 55 on the East Coast and a Nordhavn 52 based in Kodiak, Alaska. U.S.-flagged Nordhavns traveling to Cuba remains a hot topic as some of the earliest to take advantage of eased travel guidelines for Americans are reflecting on their time spent there. Meanwhile the first organized large-scale group of U.S. Nordhavns readies to take part in a Cuba rally this spring. The last shows of the 2016 Winter/Spring boat show season are upon us. Just announced: Nordhavn will be showing Nordhavn 76 Take 5 at the Palm Beach International Boat Show March 17-20.